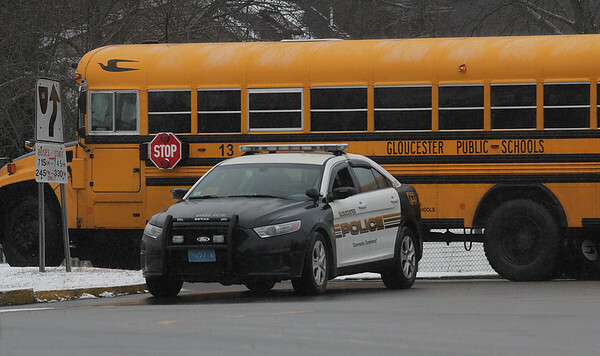 A police car that was blocking a driveway moves forward to let a bus pass through Thursday at O'Maley Middle School. The school was placed on a security lockdown in the afternoon after a report that a man was sighted near the school carrying a rifle. No credible threat was discovered by the end of the school day, and the students were dismissed without incident.